With thousands of fans clapping, chanting, shouting and jeering, college basketball games can be almost deafeningly loud. Some arenas have decibel meters, which, accurately or not, provide some indication of the noise volume generated by the spectators and the sound systems. However, crowd noise is rarely the focus of scientific inquiry. "Whenever it comes up in the literature, it's mainly been something investigators are trying to get around," noted Brooks Butler, an undergraduate physics student at Brigham Young University and member of the BYU team that will present research at the Acoustical Society of America's 176th Meeting, held in conjunction with the Canadian Acoustical Association's 2018 Acoustics Week in Canada, Nov. 5-9, at the Victoria Conference Centre in Victoria, Canada. "Crowd noise is typically treated as background interference—something to screen out." But the BYU researchers felt that crowd noise was worthy of its own investigation. 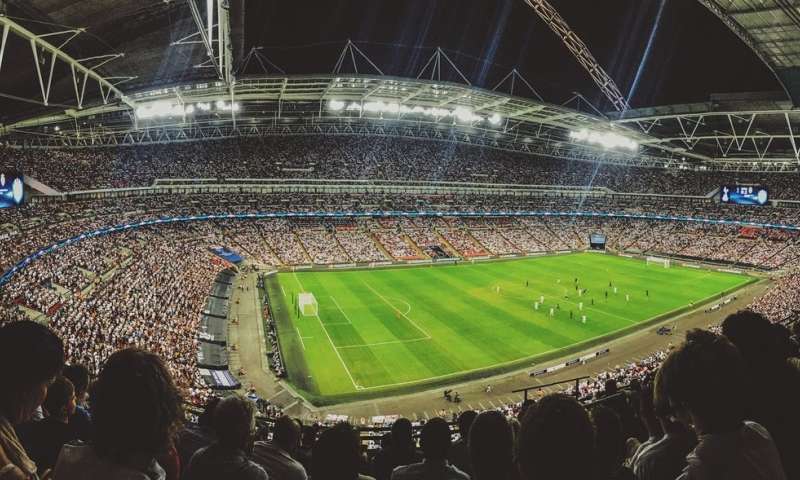 In particular, they wanted to see whether machine learning algorithms could pick out patterns within the raw acoustical data that indicated what the crowd was doing at a given time, thereby providing clues as to what was happening in the game itself. One possible application of this could be the early detection of unruly or violent crowd behavior—though that idea has not been tested. 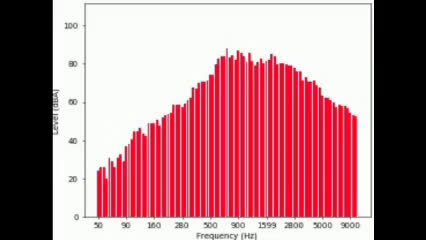 The BYU team made high-fidelity acoustic measurements during men's and women's basketball games at the university, later doing the same for football and volleyball games. They broke up the games into half-second intervals, measuring the frequency content (as displayed on spectrograms), sound levels, the ratio of the maximum to minimum sound levels within a set time block, and other variables. Then they applied signal processing tools that identified 512 distinct acoustical features comprised of different frequency bands, amplitudes and so forth. The group used these variables to construct a 512-dimensional space, utilizing machine learning techniques to perform a computerized, clustering analysis of this complicated, multidimensional realm. BYU physics professor Kent Gee was a principal investigator on the project along with professors Mark Transtrum and Sean Warnick. Together they led a team of several students focusing on different aspects of the problem, including data collection, analysis and machine learning. Gee explained the process with a simple analogy. "Suppose you have a plot of points on a two-dimensional, x-y graph and measure the distance between those points," he said. "You might see that the points are bunched together in three clumps or clusters. We did something similar with our 512-dimensional space, though you obviously need a computer to keep track of all that." The so-called "K-means clustering" analysis they ran revealed six separate clusters that corresponded to what was happening in the arena, depending on whether people were cheering, singing, booing, being quiet, or letting the loudspeakers dominate the soundscape. In this way, Gee and his colleagues were able to gauge the emotional state of the audience, simply from a machine-run analysis of the sound data. "One important eventual application of our research," he said, "may be the early detection of unruly or violent crowd behavior."